Lakeside Lutheran High School announces its Homecoming activities and events for 2015, beginning with all-school activities on Monday, September 21 and ending with a dance on campus the evening of Saturday, September 26. 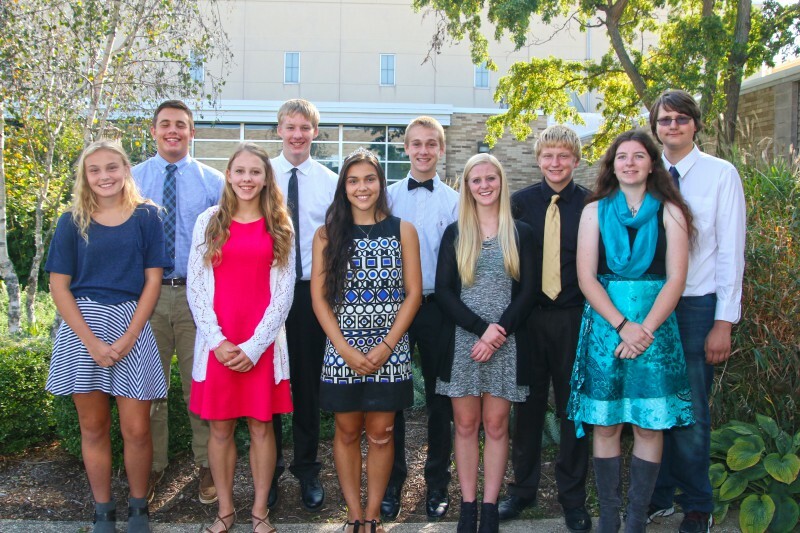 The 2015 Homecoming Court includes two representatives from each of the freshman, sophomore and junior classes, and four representatives from the senior class. Members of the court include freshmen representatives freshmen Alyssa Fehrman, Juneau, and Caleb Raymond, Sun Prairie; sophomore representatives Sophie Collins, Sun Prairie and Joseph Grambsch, Columbus; Lake Mills; junior representatives Brooklyn Wagner, Reeseville and Brady Jensen, Juneau; senior representatives Autumn Tracy, Lake Mills and Justin Nagy, Fort Atkinson; Queen Estrella Tesch, Sun Prairie and King Alex Pillard, Oconomowoc. Lakeside will celebrate homecoming with student activities throughout the week of September 21, both during the school day and after school. The theme for this year is “Cartoons.” Each class has been assigned to decorate halls, doors and windows and create class floats and videos according to different classic cartoons figures, including “Roadrunner” for the freshmen, “Teenage Mutant Ninja Turtles” for sophomores, “Scooby Doo” for juniors and “SpongeBob Squarepants” for seniors. Students will decorate the school throughout the week as well as participate in class competitions. After a 5:00 p.m. parade in downtown Lake Mills on Friday, the varsity football team plays Watertown Luther Prep at 7 p.m. The Warrior Marching Band and the Dance Team perform halftime routines. A semi-formal dance is planned for Saturday evening on the Lakeside campus beginning at 7:30 p.m.
Monday, 9/21: Class/Trash Dress Day; Senior friend day; In-school Musical Chairs; JV football game v. Columbus at 5 PM. Wednesday, 9/23: Class Workday to complete decoration of school in the morning with banners, hallway murals, window and door banners; Powder Puff Football, Boys Volleyball, Talent Show. Attention: Football Fan theme has changed: It’s a BLACK OUT with GLOW STICKS! Saturday, 9/26: Semi-formal dance at Lakeside 7:30-10:30 PM.